John Bourn was born in Rockwall on June 8, 1896 and went to Rockwall’s public school system before attending Wells’ College, also in Rockwall. His career was spent on the railroads where he rose through the ranks of the Missouri Kansas & Texas Railway, aka the “Katy Railway.” It was his job there as a ticket agent that brought him to Waco in 1917. Bourn became a Mason at Waco 92 in 1925 and attained an esoteric certificate in 1926 which he maintained for the rest of his life. 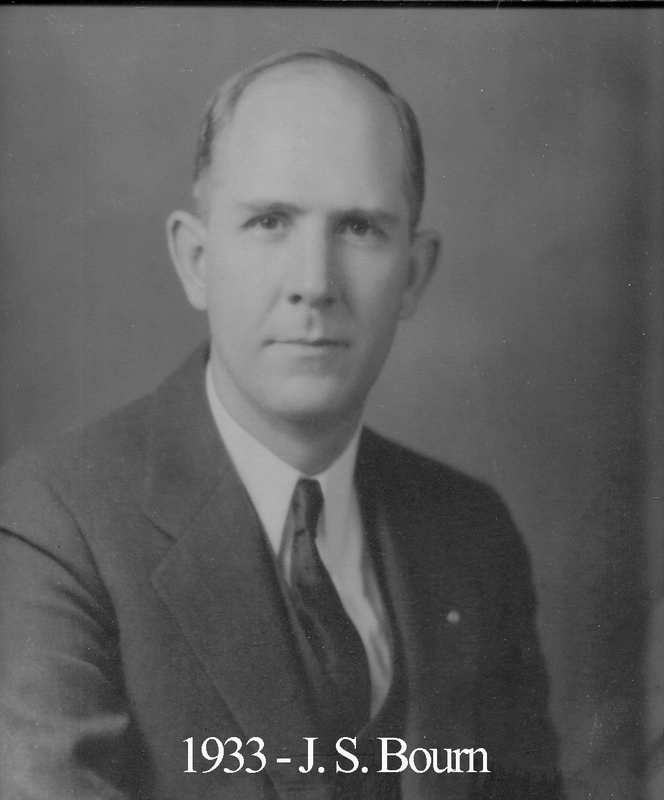 As Master of Waco 92 in 1932, Bourn implemented the annual auditing of our books. Also during that year, our Past Master Alva Bryan was the Grand Master of Texas Masons. The brethren of 92 fondly remembered Bourn as a trusted counsel over the years following his time in the East. He also served as a steward of Herring Avenue Methodist Church for a couple of decades. His home at 2723 North 18th Street still remains.